i threw together this salad in less than five minutes this weekend and was amazed at how good it was! it just goes to show you that you don't need to slave in the kitchen for hours to make good wholesome food. 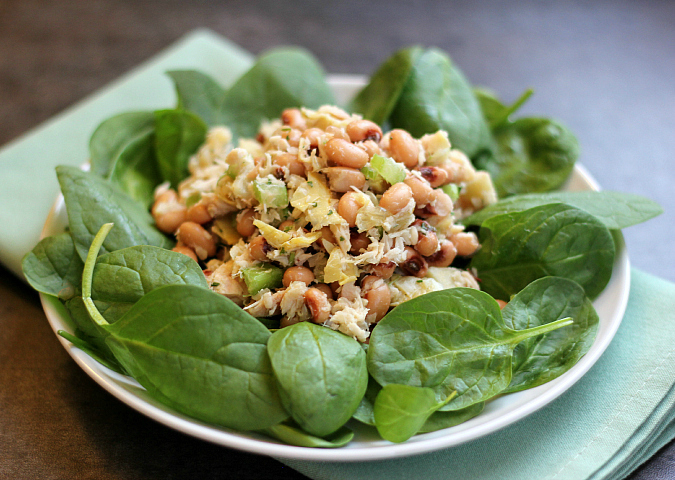 this salad is full of artichoke hearts, black-eye peas, tuna, celery, and onion. it has a wonderfully light dressing of just olive oil and fresh lemon juice too. it tastes so fresh. 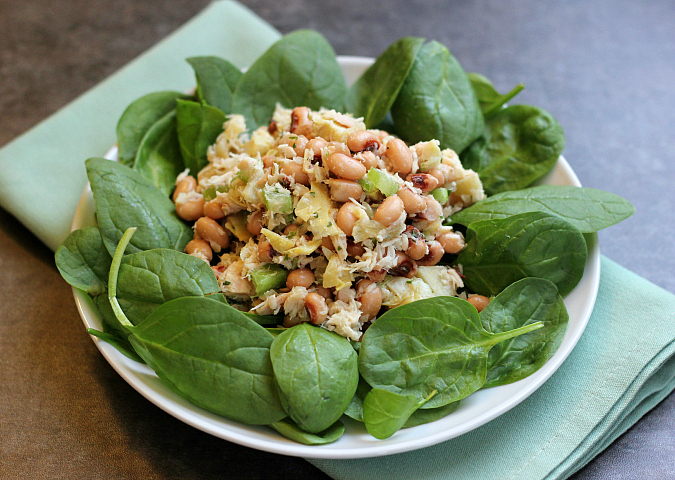 this salad is perfect for lunch or a light dinner. you could eat it on a bed of greens, between two slices of bread, or with a spoon right out of the bowl (which is what i seem to do every time i walk by the refrigerator)! combine all of the ingredients in a large bowl and toss well to combine. season with salt and pepper to taste. I will try this. Also looks easy enough to take along on a picnic. Which hopefully should be right around the corner. This looks really good. I should try this one for my lunches.